How would you like to escape on a wonderful weekend for two on the beautiful West Coast? Imagine just sitting back, relaxing and enjoying a break from the bustle with that someone special. 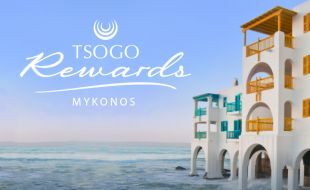 We are giving away a weekend away for 2 at Club Mykonos Resort! For your chance to win this incredible prize, all you have to do is sign up to our Rewards Programme for FREE from 1 April until 30 June and opt in to receive SMS and email communication from us. Then all you have to do is make sure your details have been updated by 30 June at the Mykonos Casino Customer Service Desk. We also just need your permission to send you information by SMS and email. No persons under 18 is allowed to participate in this promotion. Any persons who has been issued with a Refusal of Entry order, or who is self-excluded or who fall into the category of excluded persons, is expressly prohibited from participating in this promotion. This promotion is closed to any persons who are directors, members, partners, employees, agents or consultants of or any other person who directly or indirectly controls or is controlled by the company or marketing service providers, or spouses, life partners, business partner or immediate family members. Entries cannot be purchased for cash, points or through any other forms of consideration. Sign up to our Rewards Programme and opt in for sms and e-mail communication OR update your details by 30 June. The draw bin will closed on 30 June at 24h00. The prize winner will be selected by ways of a manual draw, where the winning draw ticket will be selected out of the draw bin at 11h00 on 1 July at Mykonos Casino. If the winning ticket selected not qualified according to the rule a patron needs to opt in for sms and e-mail communication, a redraw will take place. In the event of technical failure or damage to the device used for this promotion offers, irrespective of the cause for the technical failure or damage , another suitable device or method will be used, at the sole discretion of management and the Western Cape Gambling and Racing board will be informed of any such changes. Prizes are to be collected and signed for receipt thereof by relevant Prize Winner (not representative) as the case may be, within 15 days from the date of the draw from the casino where the prize (s) were won. The accommodation prize excludes public holidays, special days and subject to availability.